At no other time (than autumn) does the earth let itself be inhaled in one smell, the ripe earth; in a smell that is in no way inferior to the smell of the sea, bitter where it borders on taste, and more honeysweet where you feel it touching the first sounds. Containing depth within itself, darkness, something of the grave almost. 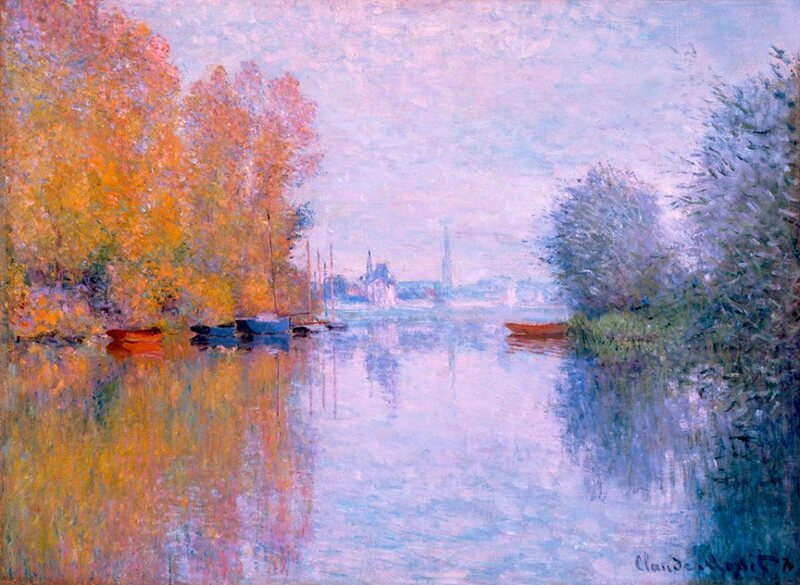 Claude Monet, “Autumn on the Seine, Argenteuil (Automne sur la Seine Argenteuil),” 1873. A Permanent Collection highlight in honor of the first day of fall.